Detailed coordination efforts allowed for successful new campus construction on an occupied downtown site. 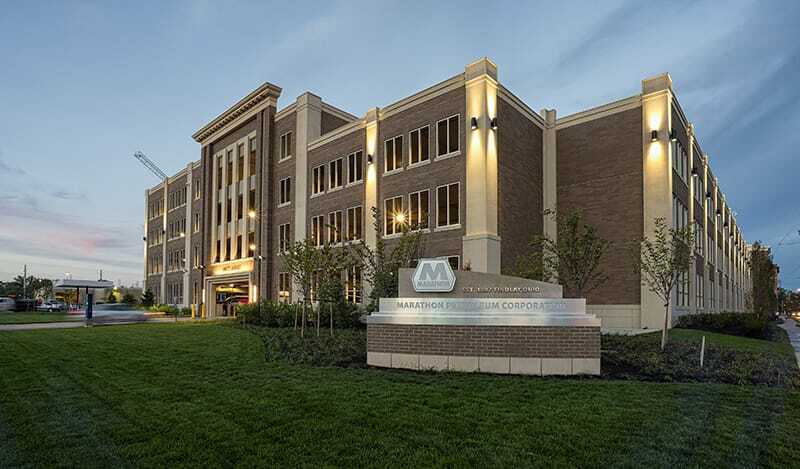 Located in downtown Findlay, Ohio, this 680,000 SF corporate campus required extensive coordination with multiple architects to successfully deliver multiple projects on Marathon Petroleum Corporation’s (MPC) corporate campus. 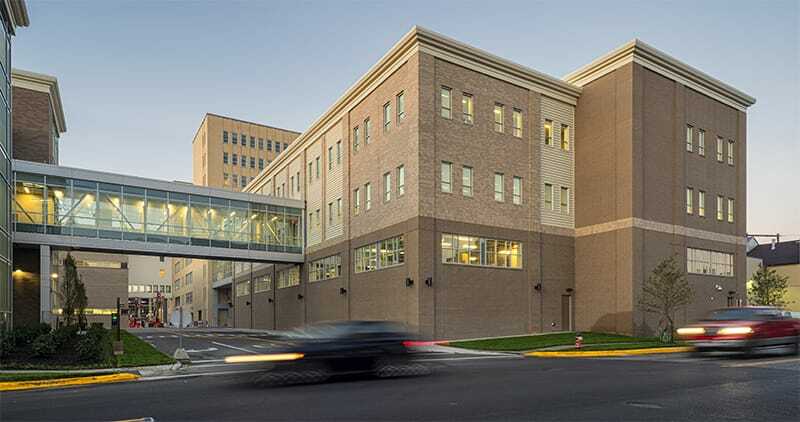 Scope of work included two new parking structures, an office building and an administrative service building. Five pedestrian bridges connect the new buildings with the existing buildings on campus. New streetscapes, landscapes and an outdoor plaza were also included in the project. The project site was located on two city blocks, resulting in limited lay down space for materials. The site was also adjacent to corporate offices that remained operational during construction with approximately 2,000 existing MPC employees. Extensive planning of all activities was critical to minimizing any disruptions to the employees and surrounding neighborhood. 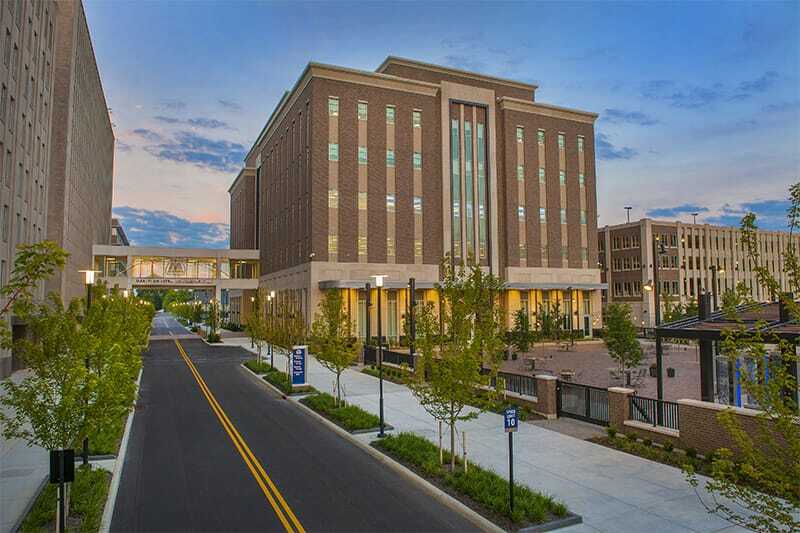 The new office building is a 120,000 SF, six-story structure constructed of steel with a brick and granite façade. 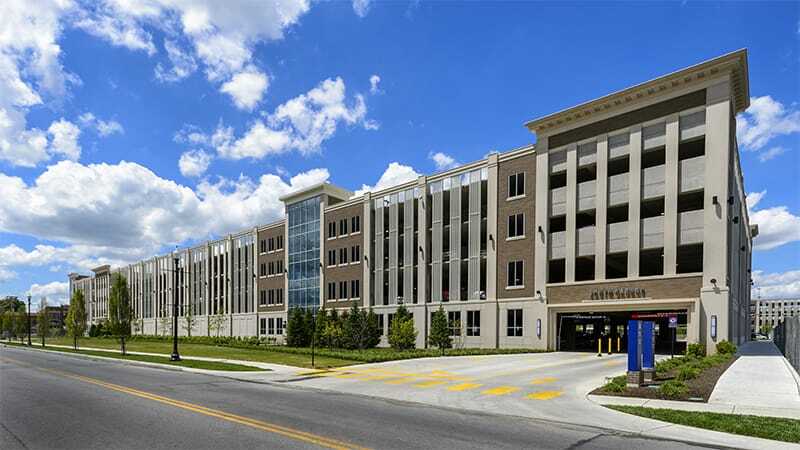 Adjacent to the office building is the five-story garage housing 1,200 parking spaces. A new, 50,000 SF, four-story administrative building includes multi-functional space with a warehouse and shipping/receiving area on the lower floors and office space on the upper two floors and an adjacent 4-1/2 -story, post-tensioned cast-in-place north garage housing 800 parking spaces.